Genesis have released a few live albums over their career as the make-up of the group has changed along with their style. Which Genesis live album do you think is the best? The early Genesis Live album with Peter Gabriel perhaps or Seconds Out with Phil Collins as the lead singer. Perhaps one of the later albums like The Way We Walk with many ofriends their hit singles. Or perhaps you love some of the rarer and less well known live recordings of Genesis. I’ve cheated a little bit in the poll by including Live At The Rainbow 1973 as a separate album. 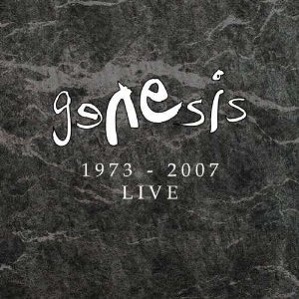 This is available in the Genesis Live 1973 – 2007 box set (which also includes the first four commercially available Genesis live albums) and is also a famous bootleg. it deserves it’s own official release. Various Selling England By The Pound songs plus Supper’s Ready with Peter Gabriel singing. So far, unlike many of their contemporaries, Genesis have not seen a mass of unofficial but legal radio broadcasts, out of copyright under European Union rules, released as live albums. If the writing is in blue, you can click on the link to find more details of the Genesis live album on this website. 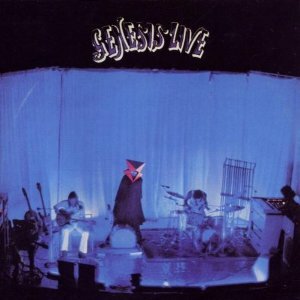 If you’d like to debate the merits of the Genesis live albums or express your opinion more forcibly, please leave a comment below..
On this exceptional live album, we hear proof that the band could survive the loss of iconic lead singer Peter Gabriel and even thrive. It was recorded in 1976 and ’77 as the remaining four members toured behind A Trick Of The Tail and Wind & Wuthering. It also features excellent versions of songs from Selling England By The Pound and a great version of their prog classic, Supper’s Ready. Not only does it top the Genesis poll but it is also highly rated in the poll for the best prog rock live albums (see below ). A long way behind Seconds Out, there are three albums fighting to be recognised as the second best live album by the band. Genesis Live from 1973 from the Foxtrot tour. Live at The Rainbow 1973 from the Selling England By The Pound tour. Three Sides Live from the 1981 Abacab tour. Each has plenty to like about it but the two from 1973 suffer from being too short. We need Genesis Live to be extended and Rainbow deserves a separate release. By 1981, the band were forging a new identity as they crossed the prog rock boundary as they turned themselves into a classic pop-rock band with hit singles. If you are a fan of the band in their progressive rock period, each of these is well worth getting as there is little repetition of songs and you can hear how the band adapted to first Pete Gabriel and then guitarist Steve Hackett leaving. Talking about Steve Hackett, his Genesis Revisited live albums from the 2010s are well worth hearing and in my opinion are better than the later Genesis live albums. What Are The Best Studio Albums By Genesis? I believe that the best live albums cluster around the best studio albums. When a group is hot, it does well in both the studio and in concert. I thought it would be interesting to see if this happens with Genesis. 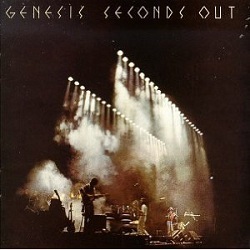 I love Seconds Out because my favourite Genesis studio albums are Selling England By The Pound and A Trick Of The Tail and both feature extensively. What Are The Two Best Genesis Studio Albums? Selling England By The Pound is #1 polling about twice as well as any other album. It’s hard to argue against the classic status of this album. I’m surprised The Lamb Lies Down On Broadway beats Foxtrot and A Trick Of The Tail because I’ve always found it difficult to appreciate this concept album beyond the better known tracks and the concept itself passes over my head. Compilations don’t work well for prog rock bands but, if you’re a casual Genesis fan, are you better going with the original albums or their best live albums? It depends on how many albums you want. Seconds Out does a good job of summarising Selling England and Trick Of The Tail, their two best studio albums in my opinion. 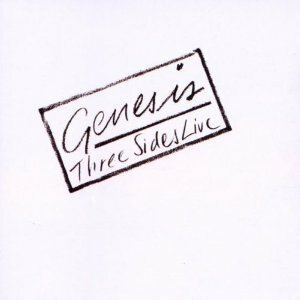 Genesis Live gives you superior versions of their earlier songs while Three Sides Live updates the story And fills in some gaps. Do You Agree With Popular Opinion About The Best Genesis Albums? What do you think about the results so far? Thanks for voting in the Genesis readers poll. Your feedback helps to make the blog better for other readers and their votes will help guide you to better live music. Please click on the links and vote and see the results so far. This entry was posted in Best Live Album Polls and tagged Genesis Live Albums by Paul Simister. Bookmark the permalink.